Give clients and partners access to specific websites in your account. Note: this feature is only available for clients on the Agency Partner account, which starts at $99 /month. For more information about this plan, email clay@fomo.com. Account owners -- the user responsible for plan and billing details -- may create unlimited teams for their clients or partners. While logged into Fomo, navigate to your Account Profile from the top right icon. 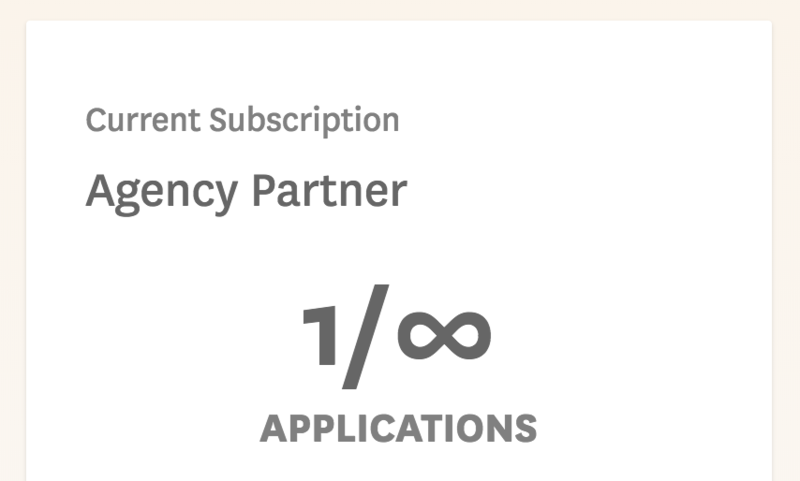 Ensure the Current Subscription says "Agency Partner." If not, contact clay@fomo.com. Navigate again to the top right settings dropdown and click "Manage Teams." Click "Default team" and rename your current team as desired, then Save. You may invite additional colleagues below, or create a new team for your clients and partners. If you're an Agency Partner, you probably only want clients to see and manage their own websites, but not your website or any other clients' websites. This is easy to do with the Fomo Teams feature. To add a new client, first create a new team from the Manage Teams page. With a new team created, first "switch to it" by navigating to "Manage Teams," finding the team name, and clicking "Switch." From here you can visit the "Sites" link or Fomo logo in the top left corner, and begin adding websites for that team only.